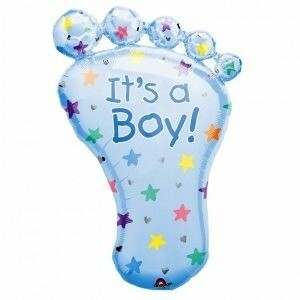 A lovely foot shaped foil balloon ideal to celebrate the arrival of your new baby boy. This giant balloon is 58cm x 81cm once inflated and requires helium. 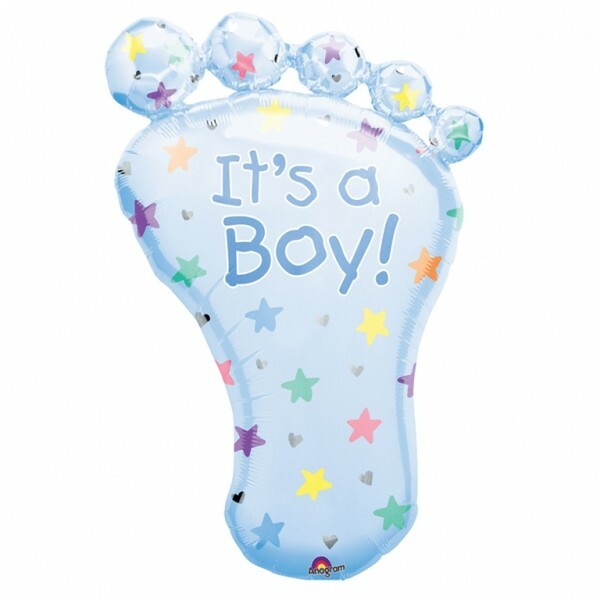 This balloon is powder blue with printed stars as decoration.